BreastScreen NSW launched a new campaign to bust myths about the role of family history and breast cancer risk. In March 2018 BreastScreen NSW launched the ‘Not in My Family’ television campaign encouraging women aged 50-74 to have a potentially life-saving mammogram. 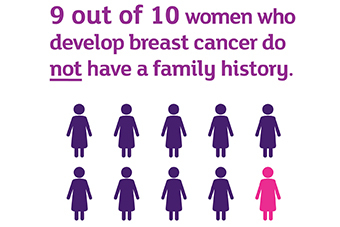 Research commissioned by the Cancer Institute NSW shows that many women are unaware that only 9 out of 10 women who develop breast cancer do not have a family history. The research showed that many women who do not have a family history of breast cancer perceive their risk of developing the disease to be low, undermining the perceived importance and urgency of regular screening mammograms. With over 400,000 women in NSW aged 50-74 who have not had a mammogram in the past two years, the importance of encouraging women to screen has never been greater. Mammograms are the most effective test for the early detection of breast cancer. A mammogram can detect breast cancers before they can be seen or felt. 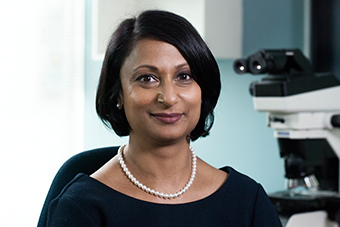 The smaller a patient’s cancer is at the time of diagnosis the more options she will have for treatment. Treatment is also more likely to be less invasive; patients whose breast cancer is detected early are much less likely to need a mastectomy or chemotherapy. Breast cancer is the most common cancer affecting women in NSW, with 1 in 8 developing the disease during their lifetime. Being a woman over 50 years of age are the two largest risk factors. For the 1 in 8 women diagnosed, it is crucial that their cancers are found in the earliest stages offering the best chance of survival and the least invasive treatment options. All women over the age of 50 should have a mammogram every two years. For information on Breast Screening in up to 28 community languages please visit: https://www.breastscreen.nsw.gov.au/languages/ and download the resources you are interested in. The campaign will run for 8 weeks from March 11 – May 5, 2018. More information about breast cancer and family history is available here: https://www.breastscreen.nsw.gov.au/about-breast-cancer/breast-cancer-and-family-history/. For GPs to request information on clients who have screened with BreastScreen NSW over the last 24 months, use this form. (Please note that this list will only include clients that have consented to have their results shared with their GP).